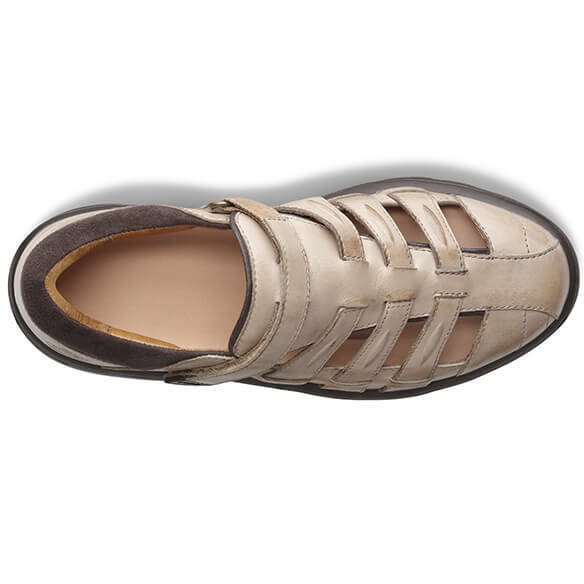 Treat your feet to the breezy comfort of a sandal paired with the protection of a shoe. 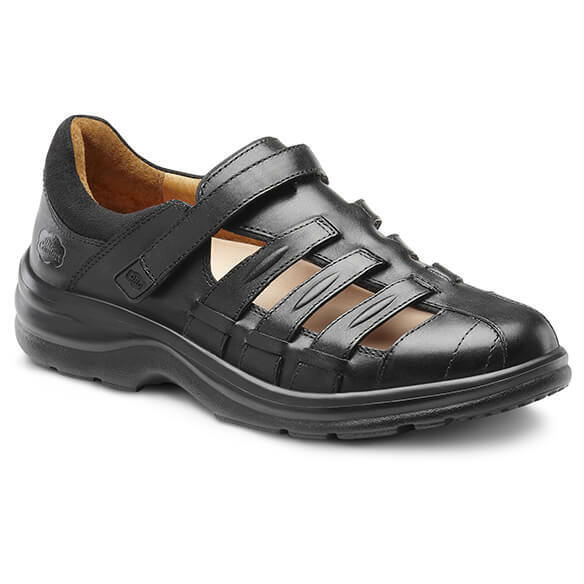 This stylish Dr. Comfort® Breeze Women's Sandal features a lightweight leather upper with a spacious, protective toe box and hook-and-loop strap for a custom fit. 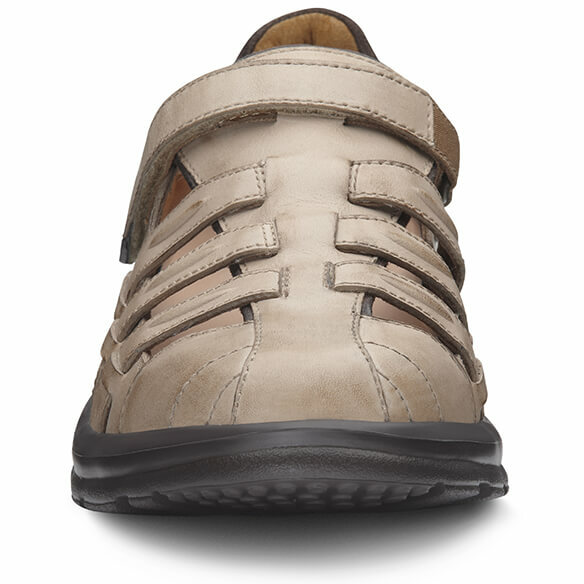 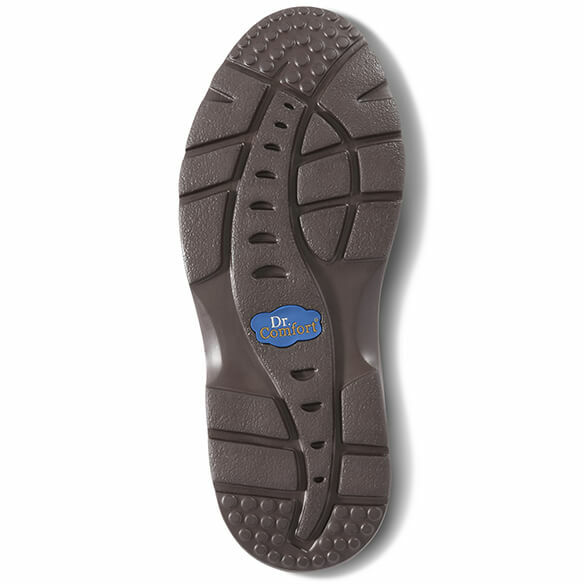 Feet stay dry thanks to an open design where air flows freely through comfortable sandals. 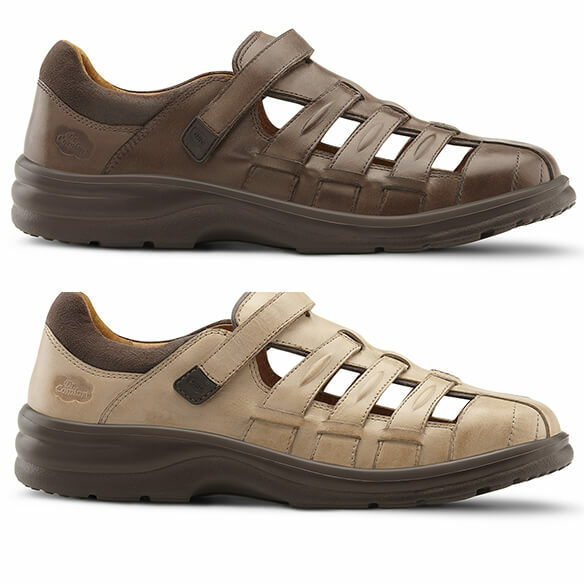 Choose from black, coffee or light gold.